Studio 8 has announced plans to turn Deadpool creator Rob Liefeld's Prophet comic book series into a movie after acquiring the rights to the property. After the success of the first Deadpool movie and Deadpool 2, Studio 8 will try to replicate that with a Prophet movie franchise. Rob Liefeld, Adrian Askarieh, and Brooklyn Weaver will produce the film once development begins on the project. Liefeld introduced the Prophet comic book series back in 1992 and has described the character as the anti-Captain America. Rob Liefeld introduced the Prophet character in his Image Comics series Youngblood and later started a standalone comic series for John Prophet in 1993. 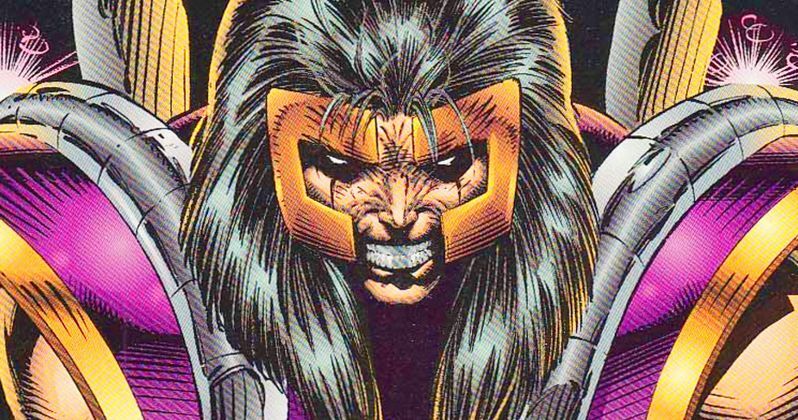 While the character is currently far into the future after his 2012 reboot, Studio 8 will focus on the early 1990s roots of the original Prophet series, according to Liefeld. Additionally, Liefeld reveals that the film will not be based on a specific storyline, which is common in the comic book movie industry. Deadpool as well as any of the movies in the Marvel Cinematic Universe, are hardly ever based off of one story. Rob Liefled has created over 150 characters over the years and his most well-known are currently Deadpool, Cable and Domino who are played on the big screen played by Ryan Reynolds, Josh Brolin, and Zazie Beetz, respectively. In addition, more of Liefeld's creations will show up in the X-Force movie and again when the Prophet franchise is started. Liefeld also noted that Studio 8 had really done their homework and are true fans of his work, mentioning that the new project will be done with as much heart as the Deadpool series. John Prophet is a DNA enhanced super-soldier, who was placed into a cryogenic freeze for a future mission. He woke up in the wrong time, which will be the 1990s in the Prophet movie and it will see the character searching for a mission that does not exist. Cable even makes an appearance in the comic series, which means that Josh Brolin could show up in the movie to help introduce John Prophet, if a deal is able to be reached between Studio 8 and Marvel, which may be a part of Disney by the time that the Prophet movie begins filming. Rob Liefeld claims that Prophet has been the character that fans ask about the most when talking about movie adaptations. With the success of the Deadpool franchise, Liefeld and Studio 8 could have another huge success on their hands. Liefeld's characters will be next seen in the X-Force movie, which is currently in development. Drew Goddard is on board to direct with Ryan Reynolds, Josh Brolin, and Zazie Beetz all set to reprise their roles from Deadpool 2. It's been hinted that some of the members of the team that were recently introduced will make a return for the X-Force movie as well. You can read more about the Prophet announcement over at The Hollywood Reporter.